Signature by Levi Strauss & Co. Women's Ankle Skinny Jeans Only $12.96 SHIPPED (Reg. $24)! You are here: Home / Great Deals / Signature by Levi Strauss & Co. Women’s Ankle Skinny Jeans Only $12.96 SHIPPED (Reg. $24)! 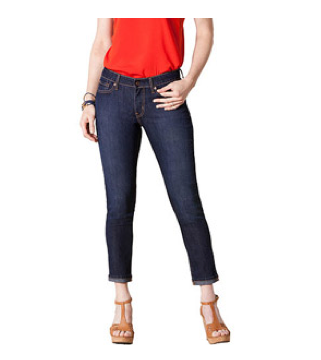 Signature by Levi Strauss & Co. Women’s Ankle Skinny Jeans Only $12.96 SHIPPED (Reg. $24)! Hurry and grab a pair of these fab Signature by Levi Strauss & Co. Women’s Ankle Skinny Jeans for only $12.96 SHIPPED! They are marked down on CLEARANCE for just $7.99, and shipping is $4.97. They would normally cost you $24+!! Or, you can get FREE shipping on orders of $50 or more.